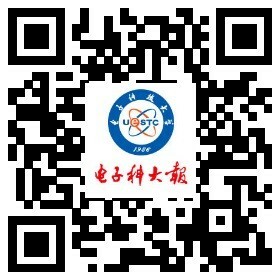 University of Electronic Science and Technology of China (UESTC) is a national key university directly under the Ministry of Education of China. UESTC was included as one of the first universities into "Project 211" in 1997, and then the nation's “Project 985” in 2001. In 2017, UESTC was included in Category A of the “World-class University” project. After more than sixty years of development, UESTC now has evolved into a key multidisciplinary university covering all-around programs in electronic disciplines with electronic science and technology as its nucleus, engineering as its major field and a harmonious integration of science, engineering, management, liberal arts and medical science. (1)Post-graduate education background or PhD degree. (2)Five years' related work experience is preferred. (3)Applicants for a dean's position is supposed to be a professor, or have a professional position equivalent to a tenure associate professor or above in a high-level world famous university or research institute or enterprise. He/she should be acknowledged in the related field with academic achievement and reputation. He/she should also demonstrate strategic conception and creativity in advancing the disciplinary research. Applicants for a deputy-dean's position should have a professional position equivalent an associate professor or above. And he/she is supposed to have certain influence in the related field with a good academic reputation. (4)Be familiar with higher education, understand the current situation of higher education both domestic and abroad with experience in administration within universities or research institutions. (5)Be willing to be devoted the cause of higher education with good morality, professional ethics, sense of innovation and team spirit. (6)Good physical health, under 50 years old. (Age requirement is negotiable for applicants with significant academic influence). (7)The applicant must work full-time in UESTC during the contract term. (8)In accordance with the relevant regulations, UESTC internal applicants serving less than one year or in the probation period for a newly promoted position are not eligible as application candidate. (1)Application method: The applicant within UESTC should submit the paper documents to the Organization Department directly together with the electronic version sent by email. The applicants outside UESTC should contact the Organization Department or the Human Resources Department by mail or e-mail. 1)The application form for UESTC Dean and Deputy-dean Positions (see the attached file, applicant will submit a scanned copy with his signaturein electronic version), and each applicant is limited to one position. ①An electronic version or photocopy of the list of academic achievements and representative achievements over the last five years. ②A photocopy of identity card or passport, the highest academic degree certificate, and the current professional and technical position/rank certificate, and award certificate, etc. ③Recommendation letters from 2-3 well-known scholars with contact information. 3)Application deadline: 17:00 April 30, 2018. (2)Qualification check: The school review board will review materials to confirm the list of valid candidates. (3)Interview: Candidates make personal statements within 8 minutes, including basic personal information, understanding of the position, work plan, integrity and self-discipline etc. (4)Candidates' conference with selection committee. (5)Other procedures for the selection and appointment, such as inspection, public announcement, appointment, etc. The university provides remuneration that corresponds to the academic performance and responsibilities of the employee. The responsibilities and specific treatment of the employee shall be arranged according to the contract signed by both parties.